DR-10X, Pocket Recorder/Multitrack from Tascam. The three new Tascam DR-10X, DR-10CS and DR-CL are designed for interviewers and broadcasters who capture the audio with handheld microphones. The DR-10X plugs directly to any XLR-equipped handheld microphone and records in BWF (WAV) mono 24-bit / 48kHz format to an SD/SDHC card (up to 32GB). 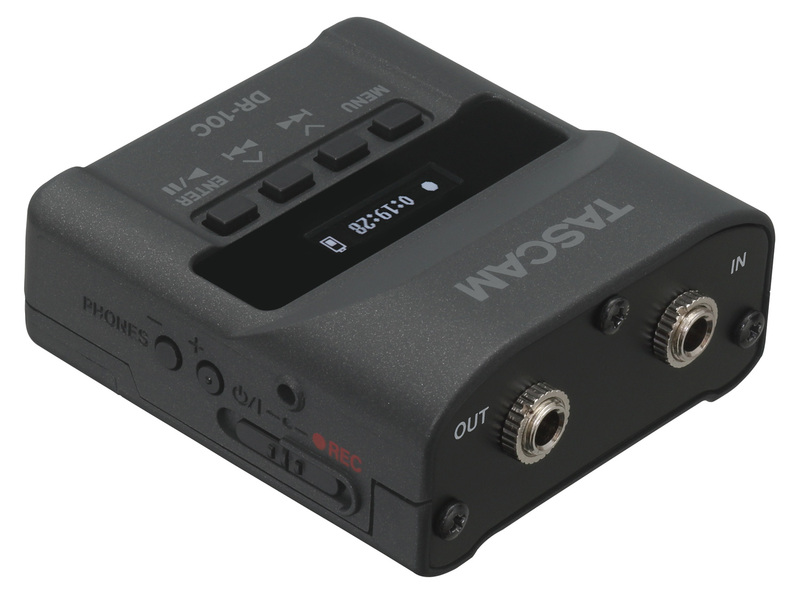 The unit is powered by a single AAA battery for up to 8 hours of use and features a three-way gain switch (Low, Mid and High) for the mic preamp, a limiter, a low-cut filter, Instant and Dual (creates a backup of the recording at lower level) recording modes and a play function with a headphone output. 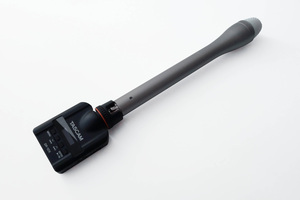 A micro USB port allows for connecting the recorder to a computer and you can also copy the settings between multiple units via infrared. TheTascam DR-10CS and DR-10CL offer the same specifications but they are design for specific microphones, respectively from Sennheiser (DR-10CS) and Lectrosonics (DR-10CL). 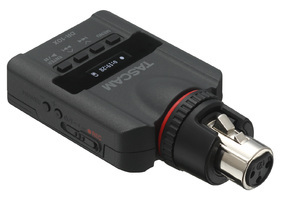 Tascam also offers optional adapters for the Shure and Sony/RAMSA mics. No information regarding the pricing nor the availability of these new recorders. [AES] Antelope introduces Satori Antelope is not at AES 2014 to preach Zen Buddhism but to unveil a new monitoring controller and audio summer. [AES] Genelec's innovative 8351A 3-way monitor Genelec introduces at AES 2014 until Sunday a new ultra-compact three-way powered studio monitor, with a very original design. [AES] The Neumann U 47 FET is back Neumann announces the reissue of its famous U 47 FET condenser large diaphragm microphone in a Collectors edition.